March 2 - Sweet Tea Trio - 7:30 p.m.
Nashville based Sweet Tea Trio, is currently making their mark on country music. 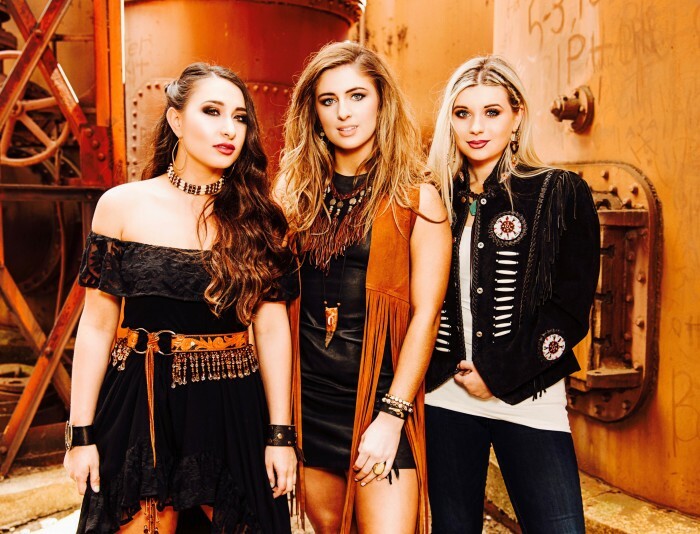 Hailing from three different parts of Alabama, Kate Falcon, Victoria Camp and Savannah Coker have joined forces to give country music fans their first taste of an all female trio since groups like the Dixie Chicks and the Pistol Annies. Sweet Tea Trio are singers, songwriters and musicians but their trademark is their harmonies. Kid Rock and his fans fell in love with the girls on his eighth annual Chillin’ the Most Cruise, 2017, where they performed six shows and were invited to return in 2018. They’ve opened for the legendary group, Alabama, and were chosen by LiveNation to be the opener for Bon Jovi in Birmingham, AL. They wowed fans at the CMA Music Fest in Nashville, 2017 and will be bringing their sweet harmonies to the Hard Rock Stage, at the CMA Music Fest, 2018. The trio’s self-titled EP entered at no. 11 on the iTunes Country Chart last year. Their song, Rebel Romance, is one of the fastest rising songs in the history of “The Iceman’s New Country Artist Top 40 Chart”, (an internationally syndicated countdown radio show) and has been held the number 1 position for 4 weeks in a row.